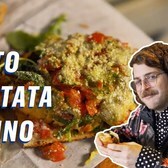 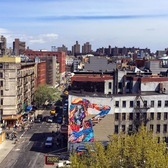 Just earlier this week, we wrote about Triston Eaton's 4-story Big City Dreams mural in Little Italy, and now we have another large-scale mural of his to share in Williamsburg. 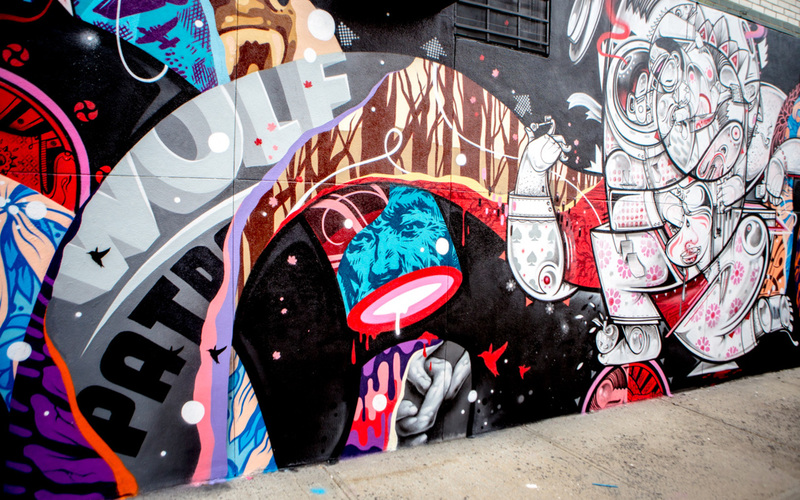 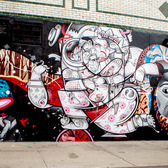 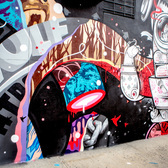 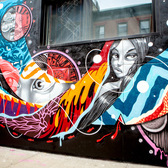 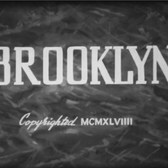 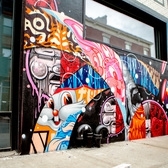 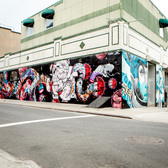 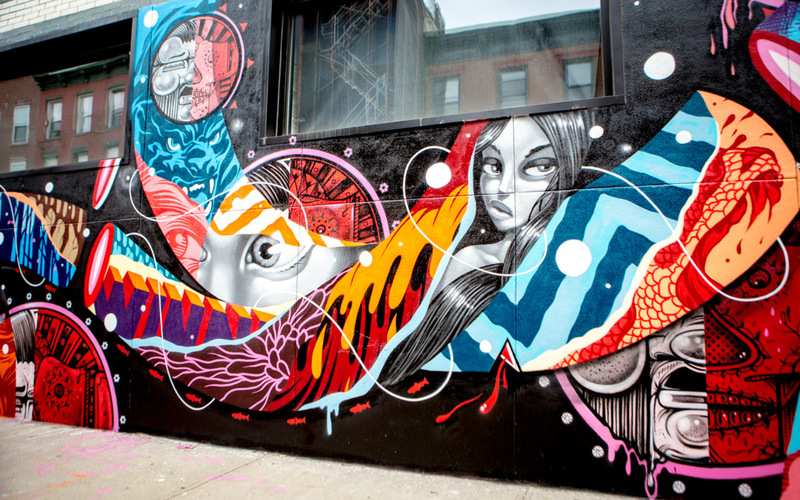 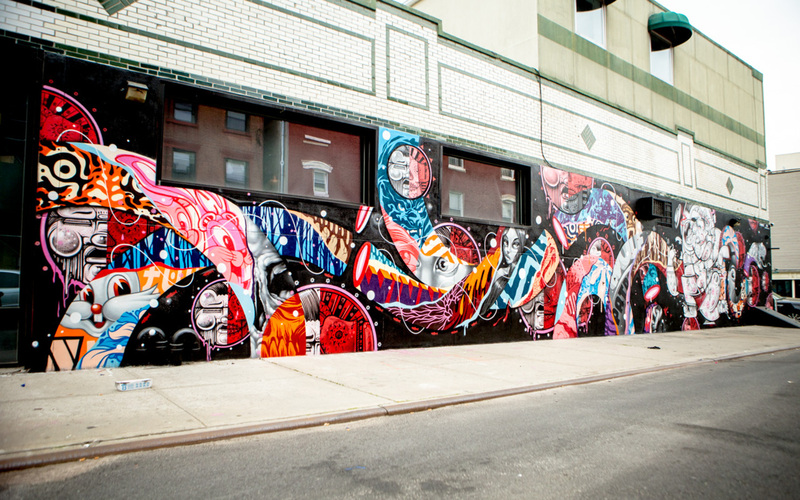 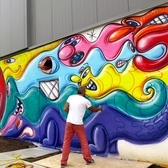 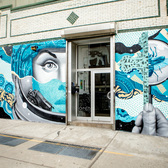 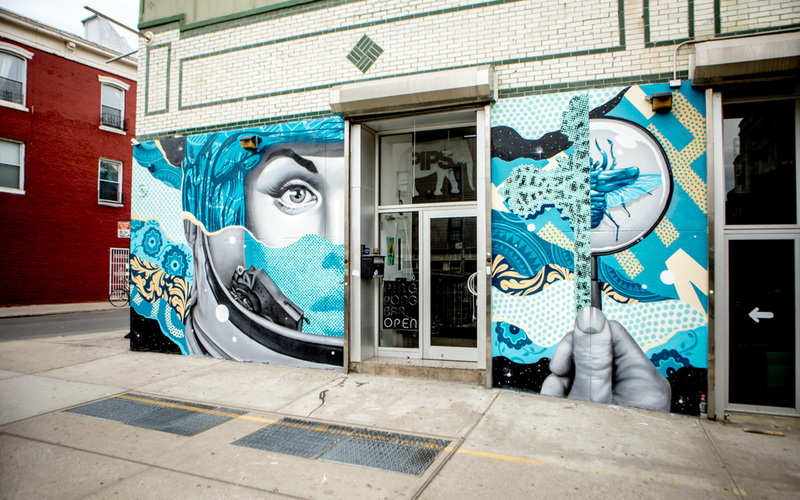 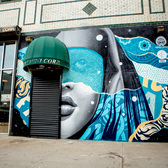 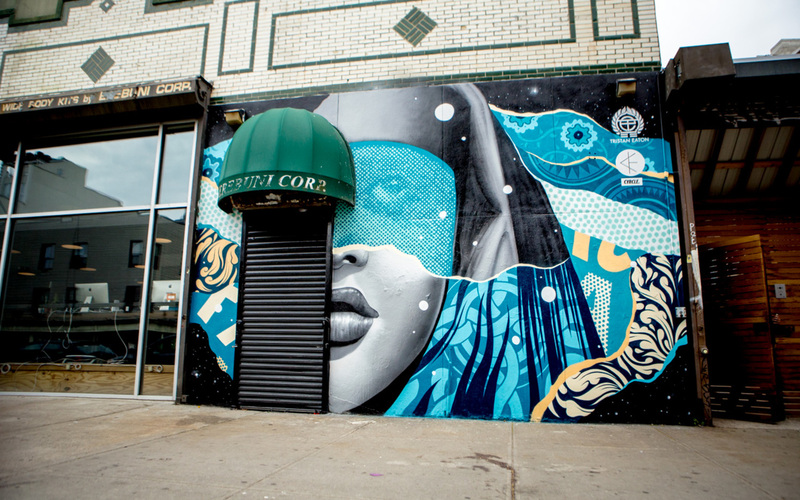 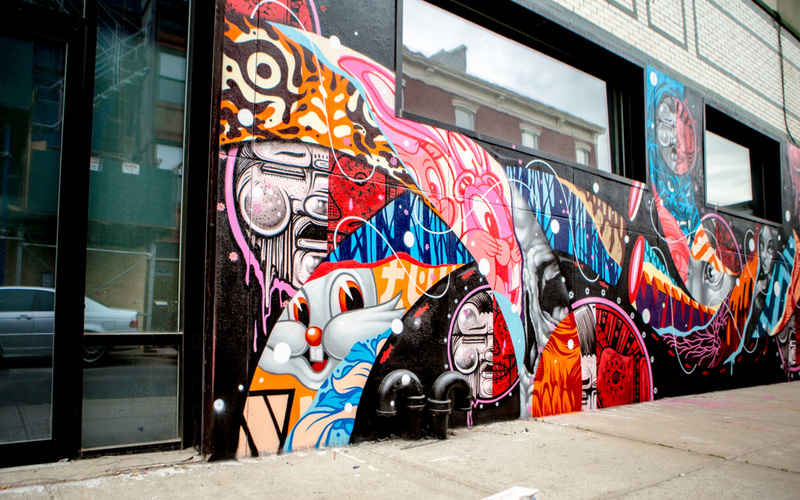 For several years, urban artist Tristan Eaton maintained a studio at 158 Roebling in the Williamsburg section of Brooklyn. 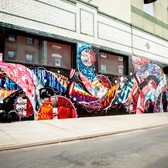 Although he’s long-gone from that space, he still curates or paints the walls there. 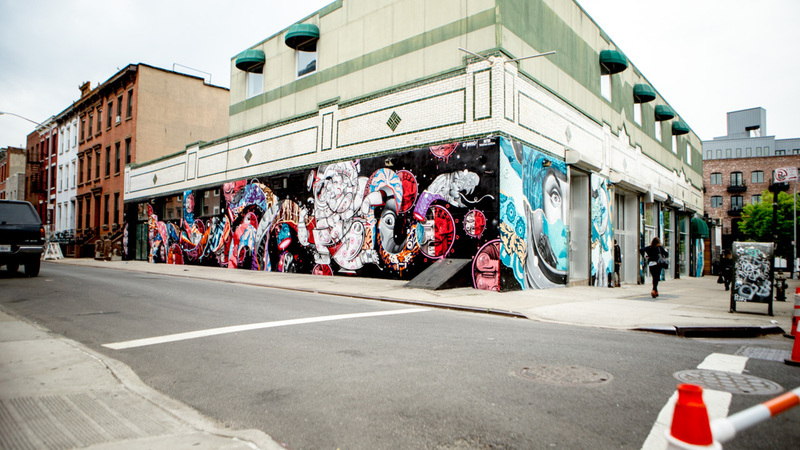 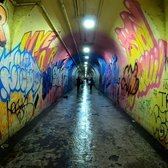 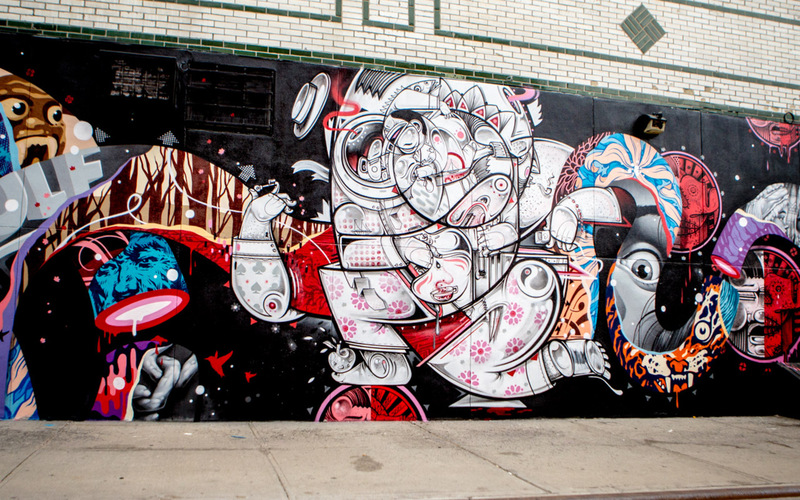 This year, he invited graffiti twins HOW and NOSM, as well as Cyrcle, to create an eye-popping mural that stretches around the block. 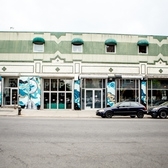 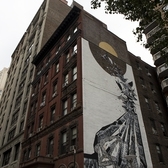 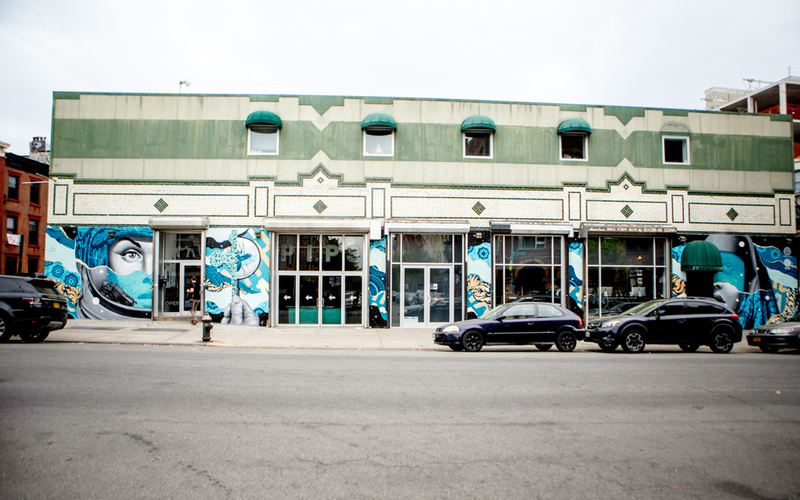 The mural covers two complete sides of the corner building.